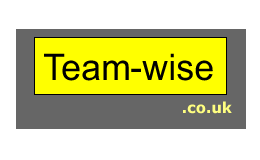 This policy sets out how Team-wise uses and protects information given to us by customers using our website. This is in compliance with General Data Protection Regulation 2016 (GDPR). Policy updated on 21 May 2018. We hold the limited information we have for all purchases for HMRC tax/audit purposes. We also hold this information for reference should you place orders in the future. No information is given to any other parties. The information is not used for any marketing purposes. For payments over the phone, in addition to the above we ask for card details in order to process the payment. Once the payment is completed these additional details are securely disposed of. We have put in place physical, electronic and managerial procedures that safeguard any information we collect. Our websites are further secured by SSL certification. To provide us with summary information about number and type of visitor, how they came to our site and the route they took through the website. This helps us improve the customer experience. You can choose to accept or decline cookies. Most web browsers automatically accept cookies, but you can modify your browser setting to disable cookies if you prefer.